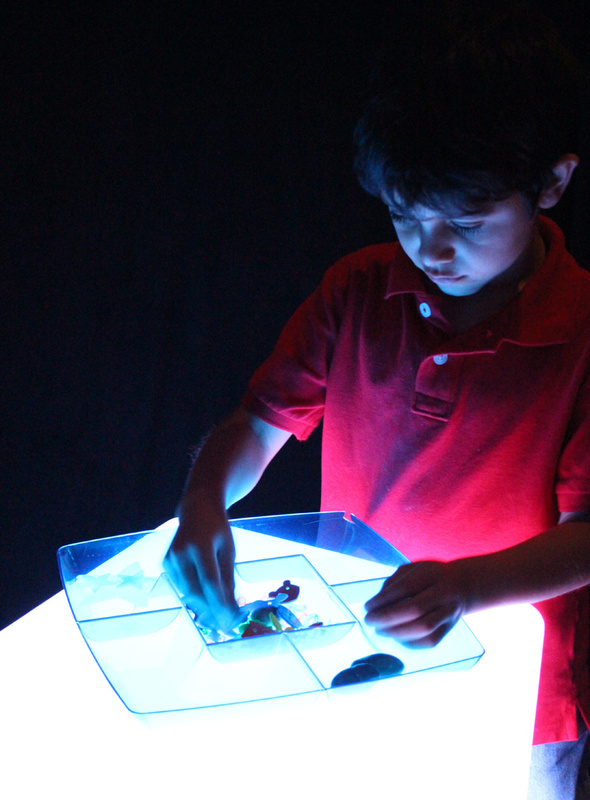 On the R59601 Educational Light Cube, sorting gets so much more fun to do! 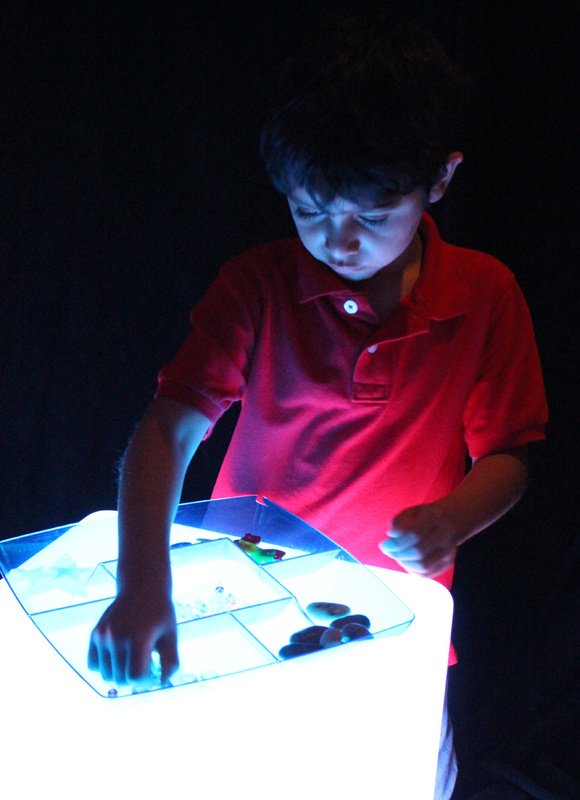 Turn on the fading function of the Light Cube to gradually cycle through colors. This produces a calming effect on students, getting them to slow down and focus on their task. Our first step was to find a snack platter at the dollar store. Use the snack platter to encourage proficiency in identifying like and unlike objects. Gather a variety of different types of manipulatives. We suggest using items such as buttons (R2131 Bright Buttons), letters or numbers beads (R2185 Math Beads and R2184 Manuscript Letter Beads), mosaics (R15367 Heart Mosaics) and more! Place all the manipulatives in the center of the snack platter. Ask students to sort through all the different manipulatives and pick out similar ones. Place similar items in one of the snack platter dividers. Repeat for all other items in the snack platter. 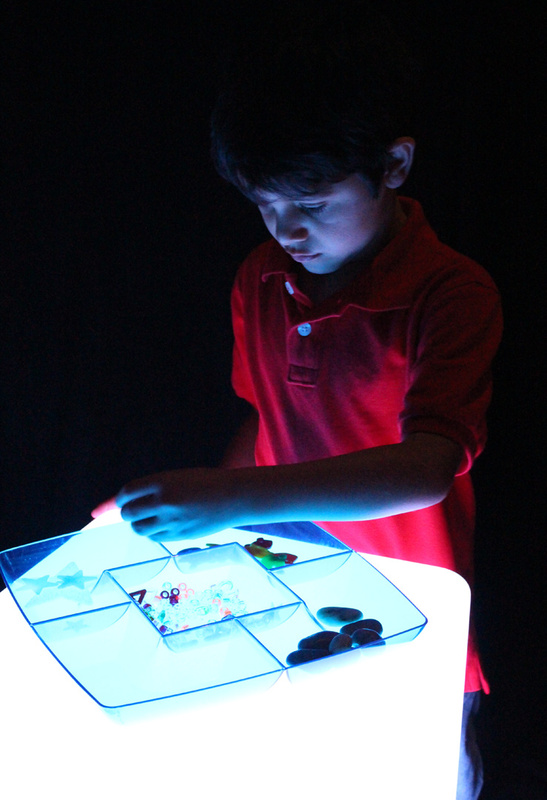 If you cycle through the colors more rapidly on the Light Cube, it challenges students to notice the differences between objects that are transparent versus those that are opaque. It’s a great exercise that students will love to try! • Find out just how sturdy the Light Cube is! Share your stories about the Light Cube! 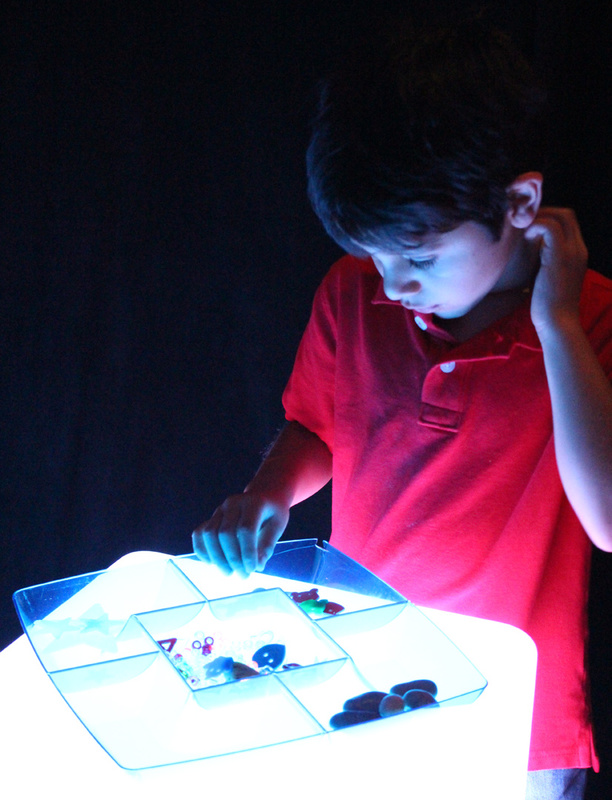 What activities do your students use the Light Cube for? This entry was posted in Crafts, Math, Science and tagged buttons, educational light cube, letters, light box, light play, light table, manipulatives, mosaics, number beads, sorting by roylcoblog. Bookmark the permalink.